When we think of architecture in our increasingly digitized modern era, we often visualize advanced software technologies and computer wizardry being at the forefront of modern design. This often causes us to imagine the creative processes of architecture as being far beyond our limits of practical understanding and appreciation. But in reality, the fact that “The best architects are both accomplished builders and visual artists”, as Making Marks author Will Jones explains, tends to go unnoticed by many. In fact, much of the visual creativity these architects exhibit finds no audience at all. 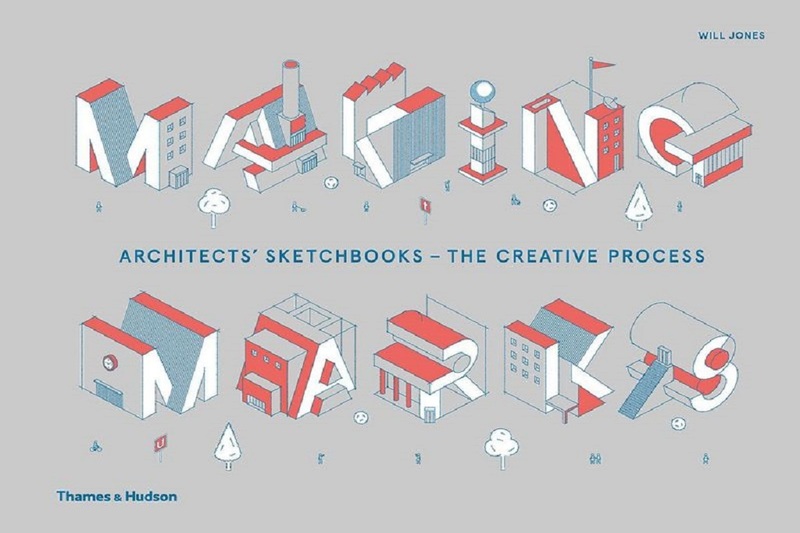 By offering a behind-the-scenes glimpse into the innately creative minds of numerous individuals, Making Marks is designed to completely transform the ordinary layperson’s perspective towards architecture. Jones’ book is a friendly reminder that the vital foundations of architectural design stem from the creative imagination, rather than from coldly-calculated, tech-driven processes. And for the majority of architects, the imagination manifests itself quickly and instinctively through hand-made sketches. By compiling the preliminary sketches of sixty brilliant architects from across the world, the book celebrates the personal joys and passions associated with architecture as well as the significance of the individual artistic mind. It’s easy to observe these elements of innocent pleasure and limitless creativity in almost every drawing; the amount of distinct emotions, attitudes, and personality traits to be found in each piece is truly astonishing. In addition, every architect exhibits an unmistakably distinguished style, visualising each of their unique ideas in ways vastly different from each other. Some architects utilise intricately detailed layouts to display their ideas, while others produce far more abstract representations that convey specific ideas or feelings. Rich color palettes catch the eye in many of the drawings, such as those of Canadian Jon Soules. Plenty of others, including Gómez’s, solely use a black pen or graphite pencil to draw viewers into their imaginary design world. Other architects, such as Macullo, have fitted an enormous variety of their sketches onto one sheet of paper. A few architects have even provided paintings of their designs, ranging in style between realism and impressionism. By demonstrating how some architectural structures can be best understood through drawing, Jones stresses the significance of maintaining loyalty to traditional physical mediums in our post-industrial technological age. You can purchase Making Marks by Will Jones directly from Thames & Hudson here.